Making healthcare facilities available to everyone, especially the underprivileged sections of the society is one of the major objectives of the governments in welfare states around the world. However, making healthcare facilities affordable is also a major challenge. The Government of India has taken up various programmes to achieve this target. In keeping with this vision the Chhattisgarh government has also came up with an initiative of its own. The administration in Jashpur district of Chhattisgarh has made significant headway in this regard. 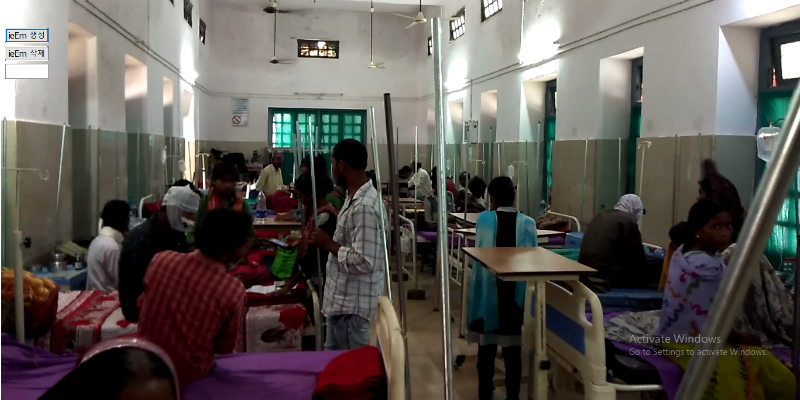 Bringing families under health insurance cover has been a notable success story in Jashpur. Parallel to Rashtriya Swasthya Bima Yojana or RSBY, the Chhattisgarh government has launched the Mukhyamantri Swasthya Bima Yojana or MSBY in 2013 to provide health insurance cover to the people. The administration targeted to provide insurance cover to all the members of the family. Till now around 2,13,000 families in Jashpur have been registered which is 99.33% of the total families in the district. It is the highest percentage among all the districts in Chhattisgarh. Every year about 8-10 thousand families get benefited from this scheme. It has not been an easy task for the administration though. There were several problems that the district administration had to deal with. “It was not easy. Jashpur district is mainly a forest area inhabited by tribes. People were not aware of smart cards. It was a tough job to make them aware of the smart card and to get them registered. We targeted 100% registration and we devised a plan under the leadership of the Collector. We made a block level plan and then we further broke it down to the village level plan. At the village level planning we included revenue officials, Health department and Women and Child development department. We did surveys on day-to-day enrolments on daily basis. For some of the beneficiaries it was not easy to get them enrolled as they would not come to register themselves for various reasons. For these people we went door to door to get them enrolled. There are around 3000 PVTG ( Particularly Vulnerable Tribal Groups) in Jashpur. WE have achieved 100 percent enrolment of these PVTGs.” Says Sisir Singh Parmar, Consultant to RSBY and MSBY, Jashpur. The beneficiaries can get treatment in hospitals registered under this scheme anywhere in Chhattisgarh. In Jashpur, there are 18 hospitals registered with the scheme and out of these hospitals 3 are private hospitals. “Since Jashpur did not have very advanced medical facilities, so we also got a few hospitals in Ranchi in neighbouring Jharkhand state. Now people can avail the facilities at the advanced hospitals in Ranchi without having to travel to Raipur, Bilaspur or Ambikapur.” Says Parmar. The smart card has been a boon for many people who are from the underprivileged sections of the society. They do not need to worry about the hospital expenditures now. They can even get treatment in private hospitals with the help of the card which was impossible earlier. This has been seen by people as a major relief as far as health services are concerned. The scheme has also benefited the government hospitals in the district too. The amount of money that the hospitals earn from the claim amounts are utilised for upgrading the facilities.